The unmissable red buses are a great new way of seeing the sights and sounds of Johannesburg. 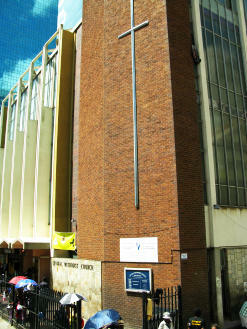 The tour also passes by interesting sites such as the Central Methodist Church, long known as a refuge for homeless people, migrants and refugees. 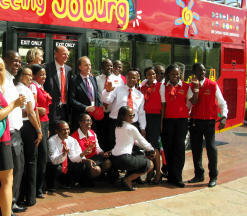 The CEOs of the local and worldwide City Sightseeing operations, Claus Tworeck and Enrique Ybarra, with members of the Johannesburg team. The red buses have arrived – Johannesburg’s open-top city sightseeing service has officially launched and is expected to boost tourism in the vibrant multi-cultural city, especially in its southern suburbs. 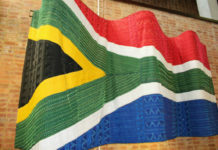 The event took place at Gold Reef City, the popular casino and theme park located to the south of Johannesburg’s CBD. Dignitaries present included Rob Collins, the chief marketing officer of hotel group Tsogo Sun; acting CEO of Johannesburg Tourism Phelisa Mangcu; Dawn Robertson, CEO of Gauteng Tourism; various officials from the provincial government and city management; and Spain’s Enrique Ybarra, CEO of City Sightseeing Worldwide, who brought his family along for the fun. City Sightseeing Joburg is operated by a local team headed by bus enthusiast and expert Claus Tworeck. The instantly recognisable global brand has been in Cape Town since 2004 and was introduced to Johannesburg in mid-2012. Since then it’s been a matter of working out the glitches and fine-tuning the logistics, and the service is now ready to roll in the only country in Africa to host City Sightseeing. 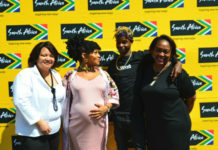 The initiative has been helped along by the Gauteng provincial government, the City of Johannesburg, City Sightseeing and Tsogo Sun, the Johannesburg Development Agency, the Johannesburg Roads Agency and others. All have played a role in bringing the red buses to Johannesburg’s streets. These places will flourish, he said, with the help of services such as City Sightseeing. The inner city has been undergoing a revival for some years now, but there is also much interesting heritage to be found in the south. Ybarra commended the local team for its professionalism. At the moment the buses run only in Johannesburg, but there are plans to take them to Sandton and Tshwane, and Soweto was also mentioned. The service runs every day between 09h00 and 17h00, with a break on Christmas Day. The last bus to do a complete circuit leaves at 16h30. Tickets for adults cost R150 (US$17) and are available from the City Sightseeing office at Gold Reef City as well as on the buses and online, discounted to R120 ($13) for the latter option. If buying a ticket on the bus, the only payment option is a credit card. 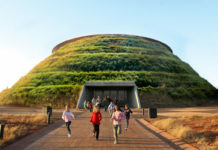 Kids between five and 15 pay R70 ($8) while toddlers under five travel free. The ticket is valid for the day of purchase only, but it serves a further purpose and that is to provide the bearer with a 10% discount for a City Sightseeing tour anywhere in the world. The route starts and ends at Park Station in town, but passengers may hop off at any stop along the way, explore the attractions in that part of town, and hop on to the next bus when it comes along. Secure parking is available at stops one and six, Park Station and Gold Reef City. Buses leave every 40 minutes, and there are 12 stops. After Park Station the bus stops at transport hub Gandhi Square, then the Carlton Centre – still the tallest building in Africa – then Santarama Miniland, the James Hall Transport Museum and Gold Reef City. 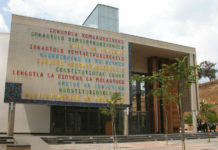 From there it’s just a quick drive across the road to the Apartheid Museum, then on to the mining district in the CBD, the arty Newtown precinct, over the Nelson Mandela Bridge to the Origins Centre at Wits University, The Grove in Braamfontein and Constitution Hill before heading back to Park Station. Passengers can listen to commentary in numerous languages, including Portuguese, English, Zulu, German and Dutch, and there’s a special kids’ channel as well.